 Shoe repair & beyond also provides orthopedic work such has shoe build ups and renewing orthotics inserts. Some of our other services include luggage repairs, scissors and knife sharpening, key making and we also offer a variety of shoe care and shoe comfort products. Our highly skilled repair team has combined old world craftsmanship with state of the art equipment to deliver superior results. Our commitment to excellence has won us widespread recognition and placed us among the leading shoe and handbag repair shops in North America. Our standards of quality and integrity have guided us since 1998, and remain today. We are always happy to serve you, stop by or make an appointment today. Dont forget to download our App at the Apple store or Google Play today for additional discounts. If you are not already a satisfied customer, we invite you to give us a try. Have questions? Give us a call at (561) 392-8321 or (561) 995-8111. We look forward to serving you. Don't forget to download our mobile App at the Apple store and Google Play for additional discounts and specials.